“Time to build a tree house for Holden and I!” was what Mike said when he found out we are having twin girls. 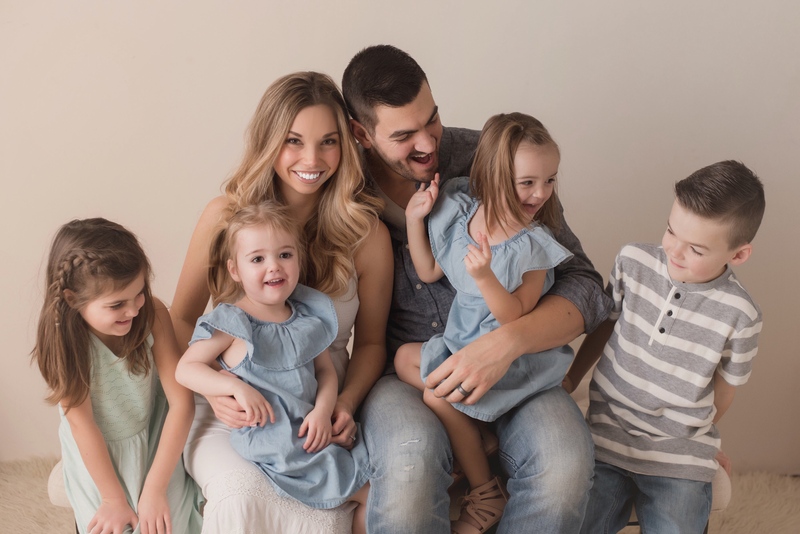 He and Holden are going to have to stick together because there is going to be A LOT of estrogen in our house. After wrapping my head around having twin girls and the possibility of them being identical, I am thrilled. Beau will have a lot of friends to play dolls with. I have been so excited picking out decor for the twins nursery. I have also been crafting like crazy! Just wait until I blog about Beau’s new room, it looks like Pinterest exploded in there! Here’s a peek at what I have found so far for the twin’s room, as you can see I am being drawn to a sunny room with yellow accents. 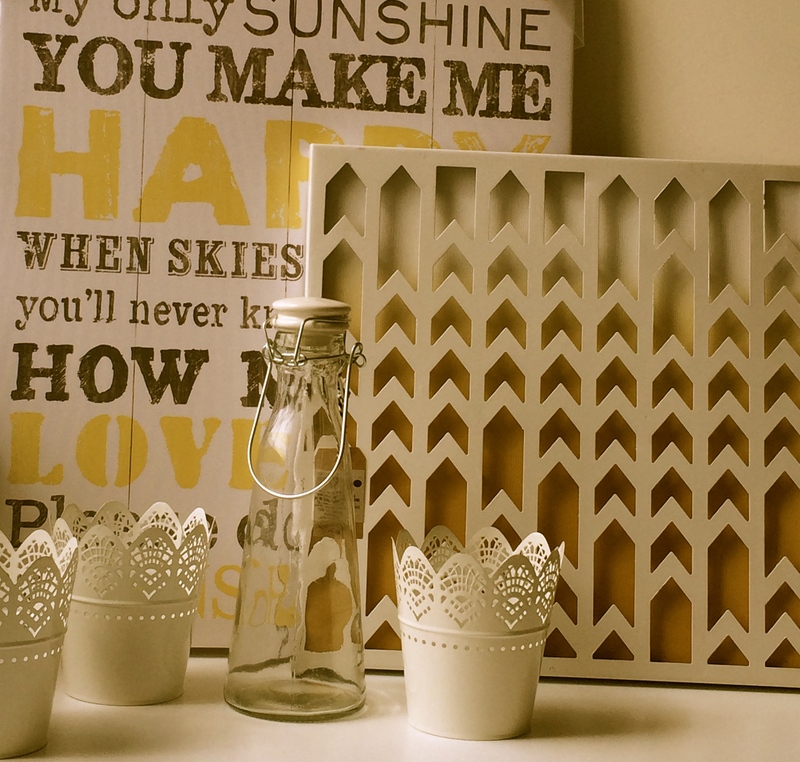 I found this whimsical You Are My Sunshine print from HomeSense for $16.99 and these vases and metal artwork from Target, each UNDER $6.00! 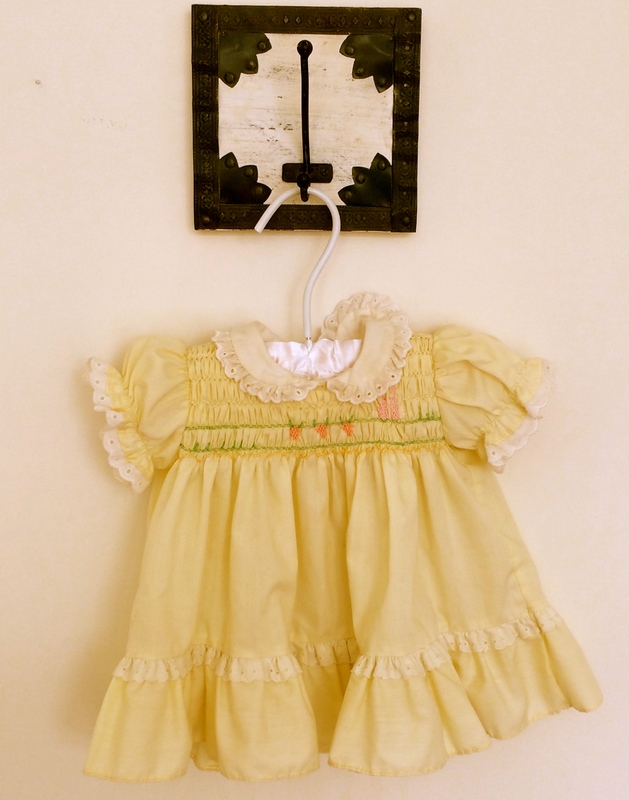 I wanted to include this yellow vintage dress from when I was a baby, I am thinking I will find a repurposed picture frame to frame this dress on a wall. 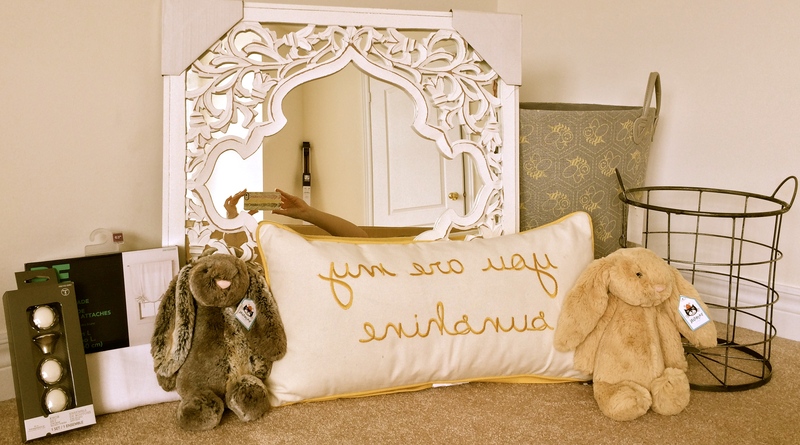 I loved this pillow from HomeSense, nope I didn’t mirror the photo, it says you are sunshine backwards. The new knobs and ready-made valance is from Target. The mirror and bins are also from HomeSense. These super soft bunnies are special in our house so we had to get new ones for the twins, from Indigo Chapters. Please excuse me taking the photo in the mirror, it is hard to manoeuvre to get a good angle these days… as you can see in the next photo I am getting pretty big! 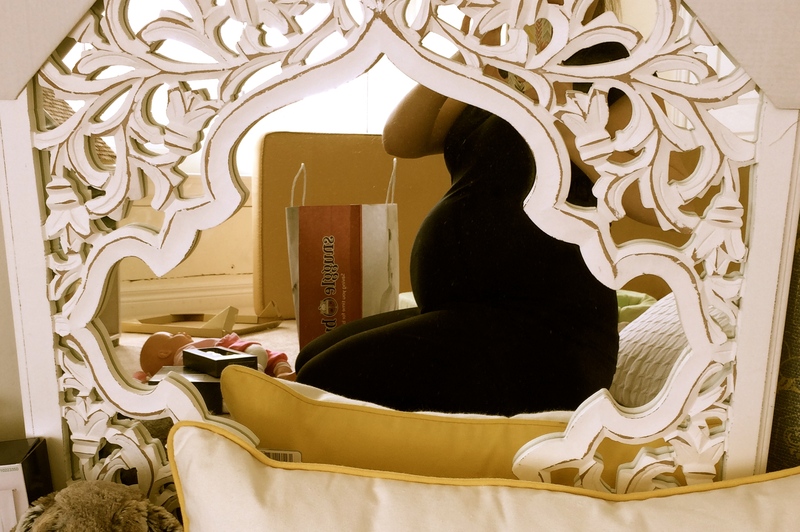 you seriously have the cutest bump in the world!!! And I absolutely love the yellow accents. It’s so cherry and bright…how could you not smile in that room? You are so ahead of the game already! I can’t wait to start planning when we are moved in and settled. oops, I meant cheery, not cherry. Can you tell I’ve been eating frozen sweet cherries all day? 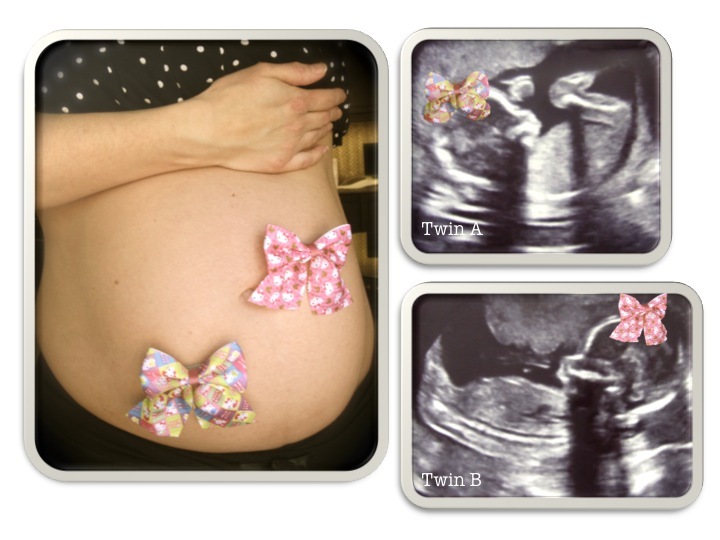 Previous Previous post: Life Shocker… Twins are on the way!